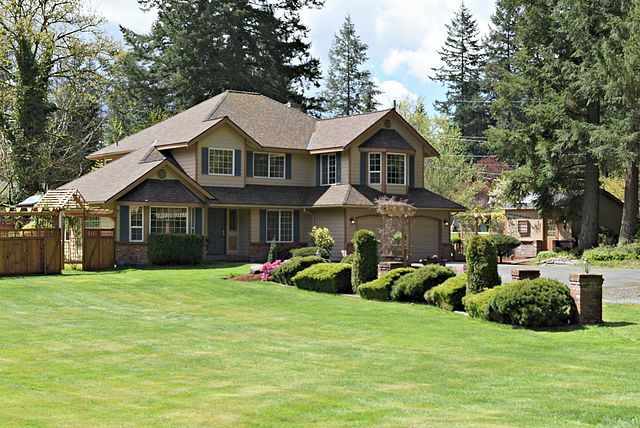 Charming country home situated on 2+ acres on the Issaquah Plateau features 4 bdrms & 2.5 baths. Island kitchen offers granite counter-tops & lrg nook. Adjacent family room w/brick fireplace. Spacious master suite w/Jacuzzi. Entertainers dream backyard offers in-ground swimming pool, gas fireplace, BBQ station & cozy artist studio. Rolling pasture w/barn, Aviary & greenhouse. Huge detached shop garage, perfect home office. RV parking & additional out buildings make this property one of a kind.